Shares of General Motors (GM - Get Report) are down about 2% Tuesday, but that came after Monday's big rally of roughly 6%. The automaker detailed its plans for a restructuring in a $6 billion cost-saving effort, allowing Wall Street to rejoice and send the stock higher. The company will endure a $3 billion to $3.8 billion charge and will no longer allocate production to five North American production plants and two more outside of the continent. Another, in South Korea, was also announced earlier this year. GM will also let go of 15% of its salaried workers and layoff almost 15,000 employees. There has been plenty of reaction since. President Trump was particularly fired up, reportedly telling GM CEO Mary Barra that the automaker "better damn well open a new plant there very quickly," referring to the Ohio plant that will be impacted. While the development is somewhat reminiscent of the Carrier plant, the irony of the matter boils down to the trade war. Specifically, the tariffs out of Washington have cost GM about $1 billion. While GM did not specifically state the trade war as reason for its restructuring, one would have to believe it has something to do with it. Observers can also count Canadian Prime Minister Justin Trudeau and the United Automobile Workers organization as those who are also disappointed. Analysts are on board, though, with many raising their price targets and/or reiterating their buy ratings. Citi analysts called it an aggressive move, while UBS analyst Colin Langan said GM's plan will save more money in less time compared to its previous cost-cutting efforts. 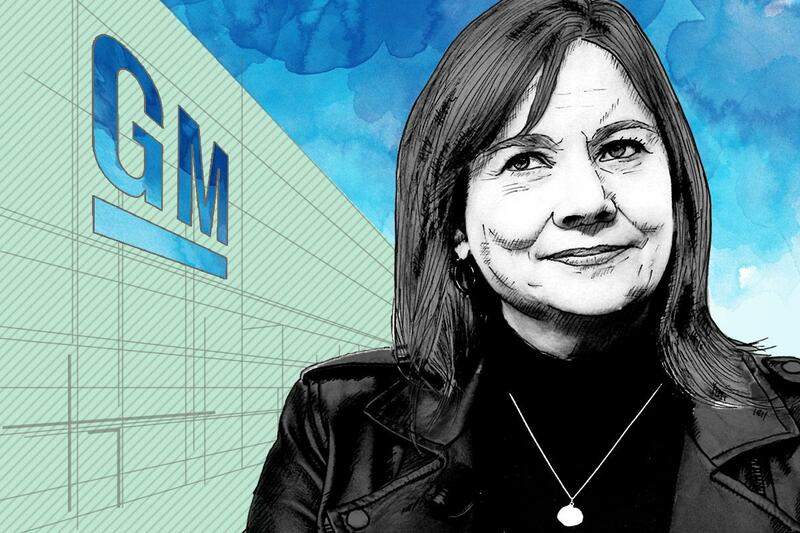 GM CEO Mary Barra took over at the automaker amid its ignition scandal, steering it clear of a serious misstep. So where does that leave Ford (F - Get Report) in all of this? GM's cross-town rival doesn't seem to have the same plans for improving its operations. At least, not directly. Ford Canada CEO Mark Buzzell said, "[We have] no plans to do anything like that," referring to GM's decision to close one of its plants in Ontario. But Ford's plans are already underway, albeit, in a different way. Earlier this year, the automaker announced its intentions to move away from producing passenger cars, save for the Mustang and Focus. Instead, it will focus on SUVs, crossovers and pickup trucks. That's no surprise given that Ford makes up less than 10% of the passenger car market, with GM's Chevy, Toyota (TM - Get Report) , Honda (HMC - Get Report) and Nissan (NSANY all ahead of it. Ford's move isn't entirely surprising, given that SUVs, crossovers and trucks tend to carry higher margins and better profitability. Still, some worry about the automaker alienating its customers. GM's action isn't all that different, though. With its changes, it plans to wind down and ultimately end North American production of the Chevrolet Volt, Cruze, and Impala, as well as the Cadillac XTS and CTS, and the Buick LaCrosse. For those unaware, these six models are all passenger cars. Even though GM isn't completely throwing in the towel on its cars, it's clear U.S.-based automakers are paring back their exposure to the group.